Don't be fooled by all the cute, Rabbid Yoshi has a reckless streak a mile wide and when it comes to combat it's 'shoot first, think later’. Still, when you need a hefty dose of firepower to turn the tide of the battle in a hurry, there's none better. Likes: heavy weapons, things that explode. Dislikes: facing consequences for his actions, things that don't explode. GRENADUCK: Do not be misled by its cute design—the Grenaduck’s sole aim is to wreak chaos in enemies’ ranks. This Secondary weapon is a bouncing explosive that doesn’t care much about covers, which allows Rabbid Yoshi to reach all those enemies who like to play “hide-and-seek” behind full cover. 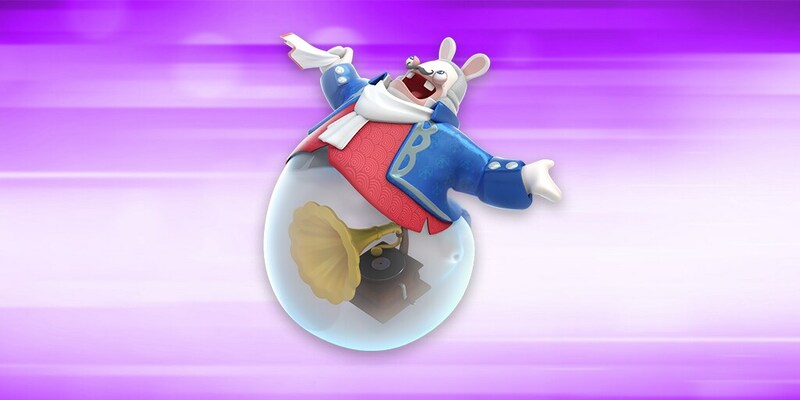 OUTER SHELL: The Outer Shell is a one-use shield that can nullify the next attack aimed at Rabbid Yoshi. This defensive ability might prove useful against enemies that uses direct melee attacks like Smashers, whose only powerful blow would be wasted as a result. SCAREDY RABBID: When enemies get a bit too close to Rabbid Yoshi and his allies, he can unleash a bestial scream that will repel all the enemies within its range of effect. TRIPLE DASH: Rabbid Yoshi is a highly mobile character whose agility spares no foe. His Triple Dash ability enables him to tackle three different enemies in a row in a single movement, wreaking havoc on the battlefield and causing his enemies to take pause before moving forward. ITCHY FEET X TRIPLE DASH: Rabbid Yoshi’s area of movement is already above average. 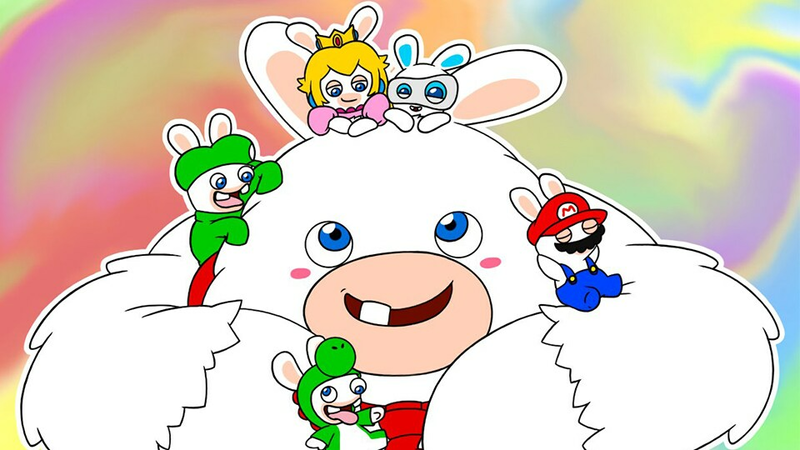 Once Luigi activates Itchy Feet, Rabbid Yoshi can reach nearly everywhere. If combined with Triple Dash, knocking out hiding enemies with long-range weapons should no longer be a problem for your team. 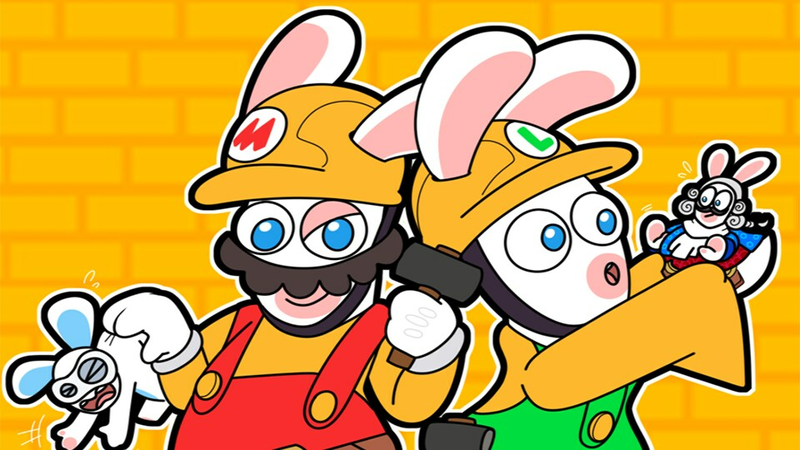 M-POWER X SCAREDY RABBID X RUMBLEBANG: There are enemies that you’d better knock out in one single shot if you don’t want them to cause you any more trouble. For instance, Supporters, who can heal their allies while hiding behind full cover, can be very annoying. By using Scaredy Rabbid, you can first force them out of their cover and put them in your line of sight. Combined with Mario’s M-Power, you can drastically enhance the power of your Rumblebang and unleash a massive attack that will instantly take down your targets. SCAREDY RABBID X REACT ABILITY (HERO SIGHT, ROYAL GAZE, etc. ): First, activate the react abilities of all of your heroes. Once done, force your enemies to move out of their covers with Scaredy Rabbid. That one move will surely be your enemies’ last move, as you can watch your Heroes’ react techniques all activate, one after another.